You have been sending paperwork back and forth and trading emails with your lender, Realtor and Title Company and today is the big day: the day of closing. You’re nervous and excited as all the parties introduce themselves. The closing agent comes in and inquires about when your funds for closing were wired. You reply ‘I wired that out yesterday morning after getting the wire instructions emailed to me.’ The closing agent gives you an odd look and at that moment you realize something has gone wrong. You’ve been scammed. You hear about all kinds of scams on the news. The National Credit Union Administration (NCUA) says that the number of fraudulent wire transfer scams reported to the FBI’s Internet Crime Complaint Center increased by 480% in 2016 and was reported in all 50 states. CNBC reported last September that $12 billion has been lost to this type of criminal activity since 2013. Wire Fraud is a form of “spoofing”. The FBI states “spoofing” generally refers to the dissemination of e-mail which is forged to appear as though it was sent by someone other than the actual source. “Phishing” is often used in conjunction with a spoofed e-mail. Scammers will monitor countless emails looking for specific or key words in the body or subject line. By monitoring emails they can determine that a financial transaction will take place in the near future. When the moment is right scammers will send a legitimate looking email that includes instructions on where to wire funds. How can you detect a fraudulent email? The signature line of the email is not in a format as seen in prior emails or the company name or employee sending the email looks different. Compare the email received with prior emails for consistency. The email does not use proper English and/or there are several misspelled words. The email has an unusual sense of urgency to the request. The email was sent outside normal business hours. The email address within the email may have one small difference from prior emails like dropping the last letter of the real address thus creating a totally different address altogether. If you suspect a scam, call your Lender/Mortgage Specialist or the Escrow Company, and confirm the email is real. Independently verify phone numbers as fake emails may contain fake email addresses and phone numbers. MidWest America will only send wire instructions through a secure, encrypted site or by fax. Or you can make arrangements to pick them up in person from your Mortgage Specialist. 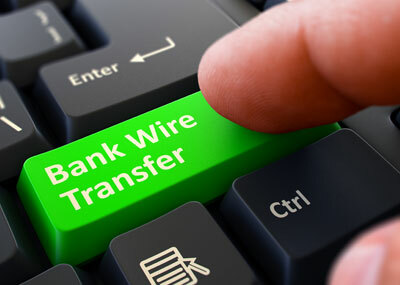 It is always better to be safe than sorry when it comes to sending a large amount of money via a wire.